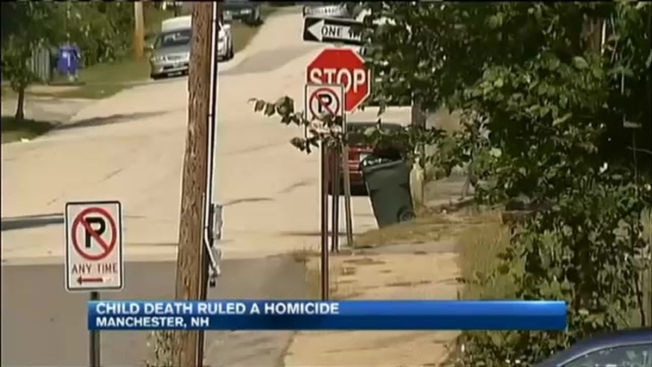 The death of a 21-month-old girl in Manchester, New Hampshire, has been ruled a homicide. An autopsy was performed Tuesday on Sadence Willott, who died Sunday. Her death was a result of blunt force trauma to the head, New Hampshire Attorney General Joseph Foster announced Wednesday. The young girl was rushed to the hospital from her home at 437 Belmont St. Saturday. Monday, neighbors and people close to the child refused to talk to necn on camera. No information was immediately available on whether a suspect in Willott's death had been named. "Any homicide on any level is tragic but more so when it's a precious toddler, a 21-month-old," said Manchester Police Chief Nick Willard. "The Manchester Police detectives are professionals and they will soldier on with an eye toward getting the answers as to why those injuries were inflicted on that child." Senior Assistant Attorney General Benjamin Agati says they don't have anyone in custody but are interviewing several witnesses to put together a timeline. Agati says investigators are focusing on finding out who was taking care of the child, who had access to her, and if there was anyone else around on Saturday. Anyone with information is asked to call (603) 668-8711. Tips may be left anonymously here.